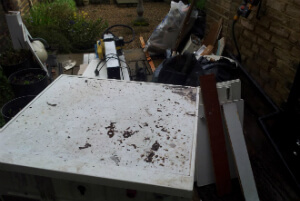 City of London EC Office & Home Junk Removal | Quality Property Care Ltd. Call the helpful customer care service or contact it online with a description of the junk you need removed and disposed of, and you will receive a preliminary estimation of the cost of the junk removal service. We are also able of removing garden and organic waste starting with grass trimmings and cuttings, soil and turf, hedge trimmings and hedges, garden weeds, plastic liners or bags, plants and flowers, small branches, litter, leaves,, twigs, animal bedding or straw, Christmas decorations and trees, plant pots and really far more. There are special collection points where we will leave these materials, however, there are special fees that you may need to take care of. There are materials which we do no collect like unsafe substances the most common of which is asbestos, we do not remove paint, chemicals,, medical materials like syringes and medicine,, nor do we clear away food. Based on the type and size of the task we use different vehicles with different crews which is specialized in different fields. Quality Property Care Ltd. top-notched professional rubbish removal company is available for you despite the type of rubbish you have. We do collect all kinds of rubbish other than for building materials, drugs and foods leftovers. Rubbish service in City of London EC is optimized in a new excellent modern way to meet your needs without even bothering or making you stand from your armchair. So, maybe it is time to clean out your office, garage, home, or loft and make some room for really useful stuff. Book your rubbish removal and rubbish clearance service today! 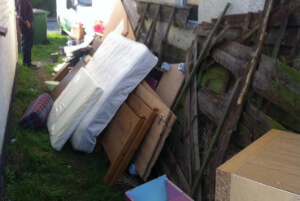 Call us 020 3746 4287 anytime you want professional junk and rubbish removal from your residence. We work efficiently and fast, dealing with loads of all sizes from small to large ones. Get in touch with us at any time of the day or night, you will find proper information on our details, pricing around the removal and so forth. Our crew is out there free of charge, with booking form opportunity. Call and save not only time, but also cash and efforts.